The two main reasons people don’t use their fire pits more often are inconvenience and mosquitoes. 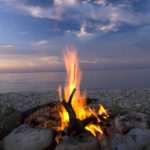 These best fire pit use tips put an end to fire pit hassles, inconveniences and bugs. Fire Pit Use Tip #1: Make lighting the fire pit easy! Fatwood speeds up and simplifies lighting a fire pit and has several advantages for folks who use fire pits. 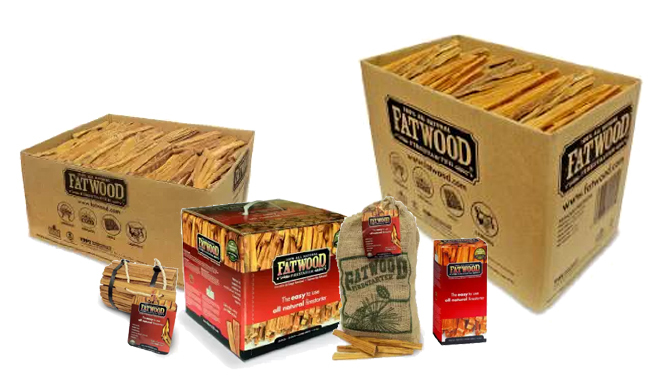 Fatwood is great for getting fires started in a fire pit. Placed underneath the grate, where there is not much room for tinder and kindling, a small amount of fatwood will do the job. It lights easily because of its high resin content. Even when it is wet, fatwood will even ignite! Fatwood is made from the highly resinous roots of pine trees, after the trees have been harvested. 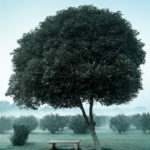 It is a resource that would otherwise be wasted, and it is as sustainable as pine trees themselves. 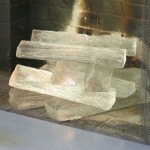 It is sold in sticks that are about 8” long and 3/4” by 3/4” thick, a size perfect for use with fire pits. Fire Pit Use Tip #2: Chase away the mosquitoes! 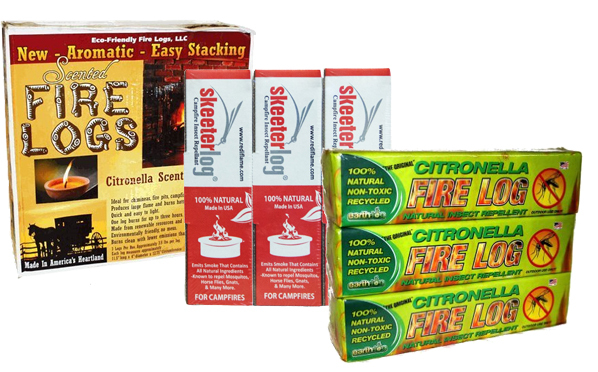 Enjoy the fire without the flying pests by using citronella logs in your fire pit. Per pound, these nontoxic, all natural logs provide up to three times the heat as firewood. This is an easy way of eliminating the mosquitoes and increasing your enjoyment of your outdoor time. Citronella logs are truly one of the most overlooked but best fire pit use tips ever. Fire Pit Use Tip #3: Let your fire breathe to keep it burning well. 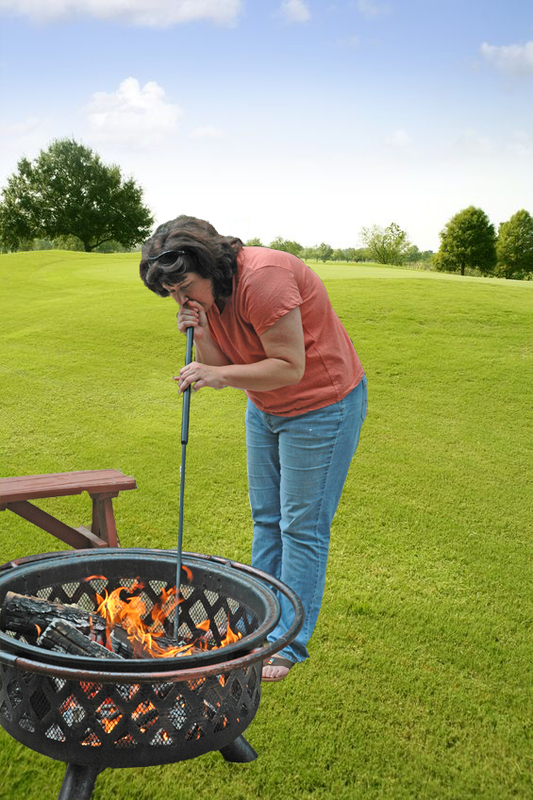 A fire pit grate provides breathing space under your fire, ensuring an adequate supply of oxygen for combustion. It will make your fires light more easily and burn better. A fire pit grate lifts the firewood above the bottom of the fire pit, which may be wet from rain. It also protects the walls of the fire pit from excessive heat by positioning the fire in the center of the fire pit. 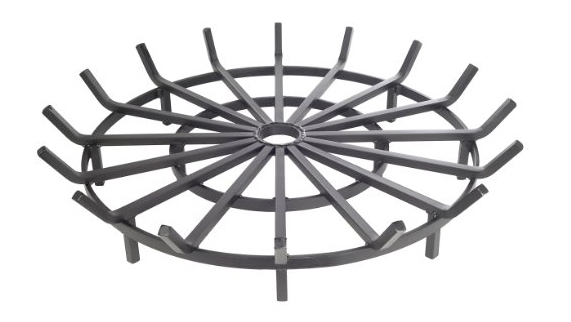 Fire pit grates are available in standard sizes of 20, 24, 28, 32, 36, and 40 inches in diameter. Manufacturers make grates using steel bar of various thicknesses, primarily 1/2” by 1/2” or 1/2” by 1”. There are also some stainless steel grates on the market. These have the advantage of resisting rust. In general, the thicker the bars, the longer the grate will last. 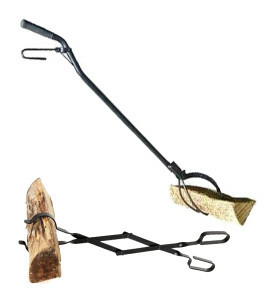 Fire Pit Use Tip #4: Have these two essential fire pit tending tools – a long handled log grabber and a blowpoke. A long handled log grabber or tongs keeps you safely away from the fire when you add new logs or more pieces of firewood. 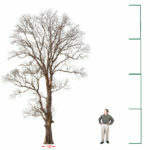 At 26 to 36 inches, they protect you from the maximum heat of the fire and safely away from sparks. 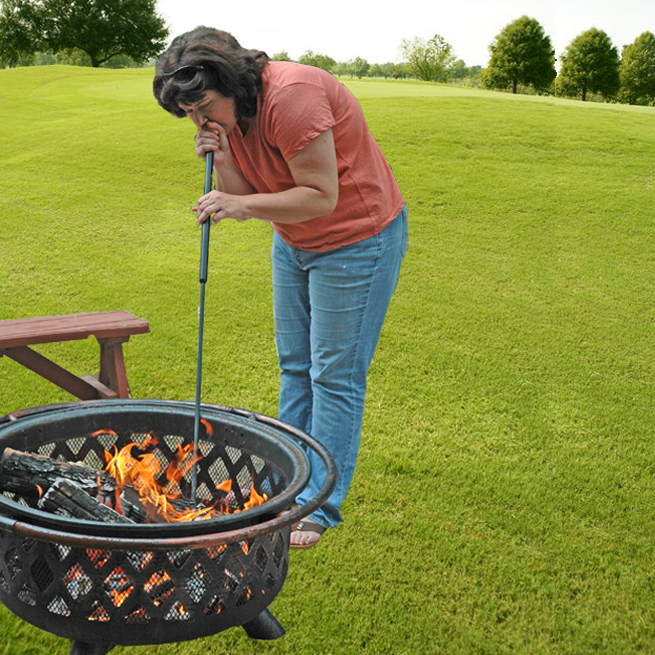 A blowpoke lets you tend the fire in your fire pit without getting smoke in your eyes. About four feet long, blowpokes are hollow tubes with a hook-shaped poker end. You can blow through it to increase the supply of oxygen when starting a new fire or when reviving a fire from glowing coals. Blowing into the blowpoke revives the fire in the fire pit. A blowpoke is an essential tool for managing the fire in a fire pit. 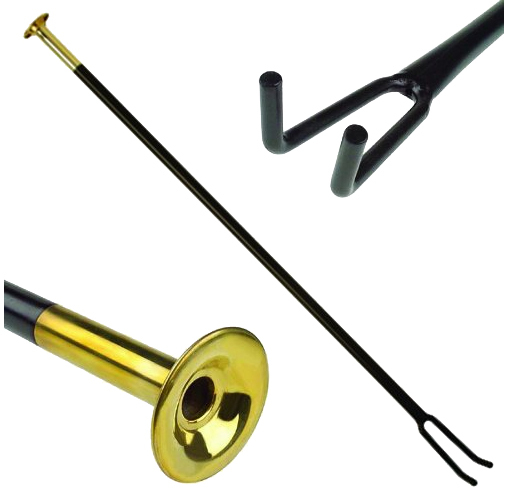 The blowpoke we recommend for fire pits is the Firedragon Blowpoke Tool: It has a set of prongs (instead of just a hook) at the end of the blowpoke, making it an even more convenient fire pit tool. Fire Pit Use Tip #5: Keep the sparks in and the elements out. 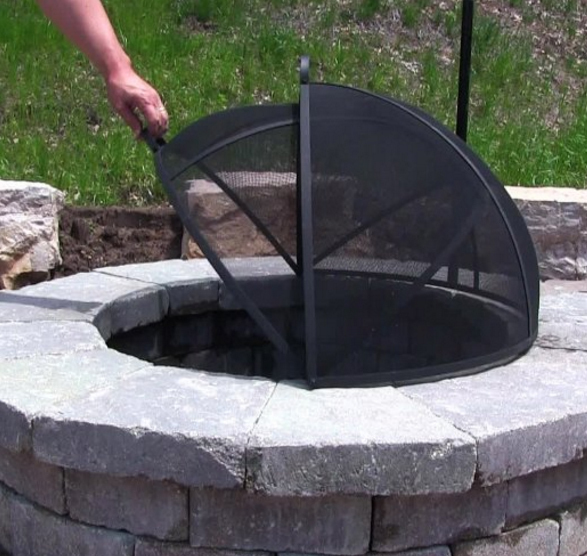 Use a fire pit mesh spark guard screen for safety to keep the sparks from escaping your fire pit. See other styles and all sizes of fire pit screens here. And when the fire pit is completely cold and not in use, protect it with a fire pit cover to keep out the rain and snow and extend its lifespan. When water mixes with the ashes in a fire pit, it creates an acidic mixture that will shorten the life of a metal fire pit or fire bowl. 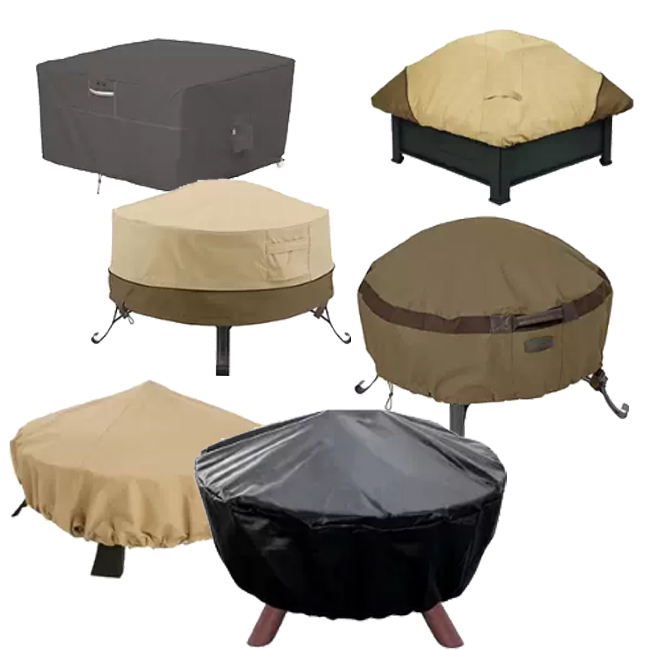 Fire pits come in round, square, octagonal, rectangular and spherical shapes and in a variety of sizes – Find fabric fire pit covers for fire pits the size and shape of yours. Fire pits are increasingly popular in America’s suburbs as people do more and more outdoor living. A fire pit can be the centerpiece for cozy family chats or for socializing with friends. But minor inconveniences and annoying mosquitoes keep too many from using their fire pits more often. 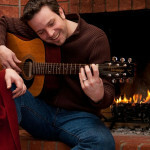 By employing these simple Best Fire Pit Use Tips, you will get the most enjoyment and use out of your fire pit. That’s clever to use citronella logs. That way you can keep mosquitos at bay. I’ve been thinking about building a pit so that I can event people over to hang out around the fire.